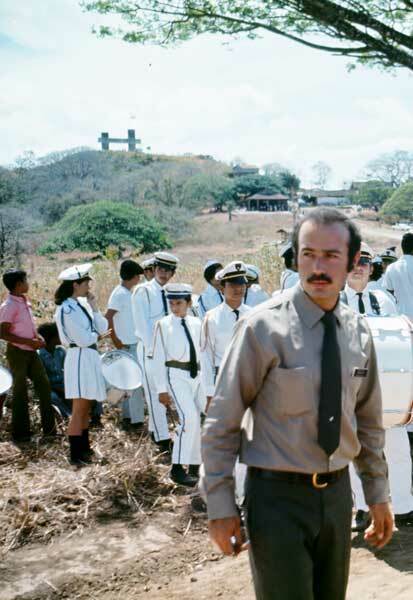 I first met Alvaro in 1970 when, as a Peace Corps Volunteer, I was assigned to a small team charged with establishing Santa Rosa as one of Costa Rica’s first four parks. It was a difficult undertaking, and I’m not sure how it would have turned out without Alvaro’s imaginative leadership, talented negotiating skills, and tireless energy. He was a tough, no-holds-barred protector of Santa Rosa, whether from cattle, wildfire, politically connected neighbors, obstinate ministers, or poachers. Where others might have been overwhelmed by the obstacles, his long-range vision of where we were headed permitted solutions, regardless of whether the troubles were but minor irritants or major impediments to the conservation end game. At the same time he was sensitive to the needs of poor families disadvantaged by the park’s establishment, and he sought fair compensation for the disruption in their lives. The wild creatures that called Santa Rosa home where of special concern to Alvaro. He understood the paramount importance of the park in saving biodiversity. But individual animals were of no lesser concern to him. 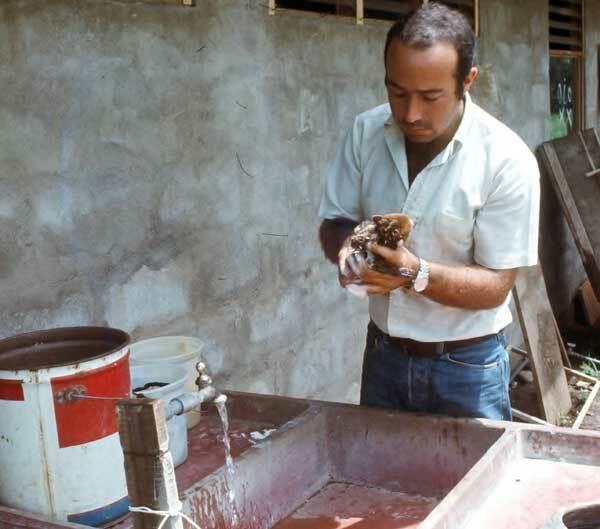 Once I found him patiently caring for an orphaned coati that had been found in the park. Alvaro was intimately familiar with every aspect of Costa Rica’s diverse protected areas system, whether overseeing the entire complex from San Jose or serving as director of Cocos Island, its most remote unit. 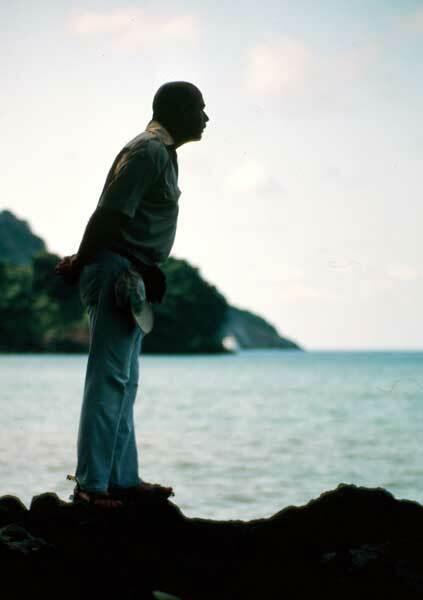 In later years, he claimed the Osa Peninsula as his favorite place and would enthusiastically and poetically describe how they were re-building biological corridors, saving the large Sierpe wetlands, protecting turtles and studying jaguars. It was clear that his life-long passion of saving nature never waned. Though he accepted his responsibilities with conviction and seriousness, his sense of humor was always close to the surface, flowing back and forth from the simple and child-like to the nuanced and double entendre. He reminded me once many decades after working together in Santa Rosa how I had constantly identified birds in the park uplands as flycatchers to him, but that “he caught on to my trick, when down at the beach all the birds were oystercatchers”. What turned out to be my final contact with Alvaro occurred towards the end of 2013 when we had a marvelous lunch together in San Jose. As I look back, it was particularly special in that he recounted some of the high and low times of the past decade. Though it was certainly not his intent, it was a wonderful self-reflection of his long and distinguished career at home and throughout the world. Alvaro was at the vanguard of Costa Rica’s pioneering efforts in nature conservation. In fact, he was an elite member of a small but extraordinary group whose collective efforts put Latin America at the forefront in protected area policy and practice in the developing world. Alvaro will be profoundly missed but warmly remembered by the untold numbers of people whom he personally and professionally influenced during his distinguished and consequential life. Adios amigo.